Over the last several years our family has rented a home in the Laurentians during the winter months. We relish our time together at this special little hideaway, spending quality time with our daughters, disconnecting from the intensity of our school and work weeks, enjoying many outdoors activities but best of all – sitting in front of the fire. So much so that last week my husband announced that we’d have to start limiting their frequency and rationing our wood over the remaining weekends because we were quickly running out of supply. Limits would have to be set. The environmentally unfriendly aspects of it aside, this came as a disappointment particularly to the female contingent in our household likely because the fires we build together have come to signify light, warmth, cuddles, and of course the occasional marshmellow. When I read this week’s parasha, Tzav, the second portion in Leviticus, I found it coincidental that the opening verses begin with G-d’s commandment that the Jewish people maintain an eternal flame, that a fire on the altar be kept burning, never to be extinguished. Personally, I like the sound of that and it got me thinking how nice it would be if that were the case in our fireplace! In all seriousness though, in this parasha G-d instructs Moses to initiate Aaron and his sons as priests and the many responsibilities that come with being a Kohen in particular keeping a fire burning on the altar for the purposes of sacrificial offerings or korbanot. The parasha then goes on to detail the numerous rituals associated with burnt offerings, meal offerings, sin offerings and guilt offerings all which necessitated a perpetual flame so that when sacrifices were brought forth the fire could easily be relit. This concept of an eternal fire, never to be extinguished, to be tended to carefully and regularly, easily brings to mind a number of possible meanings and associations. One commentary I read noted that, “In the soul of every Jew there lies a hidden point that is aflame with a love for G-d, a fire that cannot be put out.” But this connection must be renewed each day. And so just as the priests were commanded to “burn wood each morning, each morning” to keep the fire going we too must work to keep that spark alive through our actions and approach to life whether it be efforts to inspire our children or getting closer to our own spirituality. Even with all the struggles and distractions we face on a daily basis there is comfort in this idea that the fire is always there, alive within each of us, driving us forward and keeping us connected, we just have to remember to cozy up to it. At Akiva we know a great deal about maintaining a perpetual flame, continually feeding the internal spark in our youngest learners. Their engagement in an ongoing process of discovering the richness and relevance of our traditions, the dedication of our educators to bringing new meaning to books and texts at different stages of our students’ development all fulfills a commitment to Jewish learning and knowledge that can feed a blaze for generations. The impact of doing so for the last 50 years is wide reaching, profound and something we can surely be proud of. Now the Kohanim were not busy building bonfires rather the parasha specifically instructed that a small fire must burn permanently on the altar. Rabbi Moshe Becker speaks to the idea of a small flame representing a desire within each of us to connect to or build something bigger and higher, just as a fire grows and always reaches upward. It’s a reminder that we all have a spark within us to learn and grow and it is our responsibility to nurture this in ourselves and in others an idea which is also so aligned with our mission at Akiva. Connecting to my Judaism and inner spark has been an on and off again trajectory. While attending public school with few Jewish friends, I relied primarily on afternoon Hebrew school, religious holidays and summer camp to build and reinforce my understanding and identity. Over the years my desire to move closer to the fire of sorts has come about through efforts I’ve made to light Shabbat candles, recite those few prayers I’ve managed to memorize over the years at shul, writing a few dvar torahs, a few failed attempts at learning to read Hebrew, but mostly obtained through osmosis by sending our daughters to Jewish day school and now Jewish high school. Somehow though it never feels like enough and I wish I could turn back the clocks and compel my parents to trek out daily from Chomedey and send me to Akiva so I can get the full experience! My desire to learn more, to grow more as a person and a Jewish woman is compelled largely by the fact that I want to set a good example for my daughters and ensure that the flame remains steady and stable and continues across the generations to come. Our eldest daughter was the first bat mitzvah on both sides of our family as far back as anyone can remember. And so when the opportunity recently came up for me to travel to Israel this coming May with a women’s group I jumped at the chance. The promise of learning and connection not only to the land but to women from over 20 countries who like myself are looking to do more and to feel more is something I am confident will have a long lasting impact. As we celebrate our past and our future at Akiva I think it is easy to see the impact that we have had and liken what we do to that perpetual flame and the sacrifices that our forefathers brought forward out of an expression of love and respect for G-d. Parasah Tzav at its core is about sacrifice and it is sacrifice that in reality bonds us and brings us close. Jews and Judaism have survived despite the many sacrifices that people have had to make for it even to this day. But when our ideals and focus remain strong, sacrifice can be seen as an expression of love, a gift we bring to what and whom we care for. Our love for our children, for this special institution is what motivates us to give of ourselves, our time, and our resources. 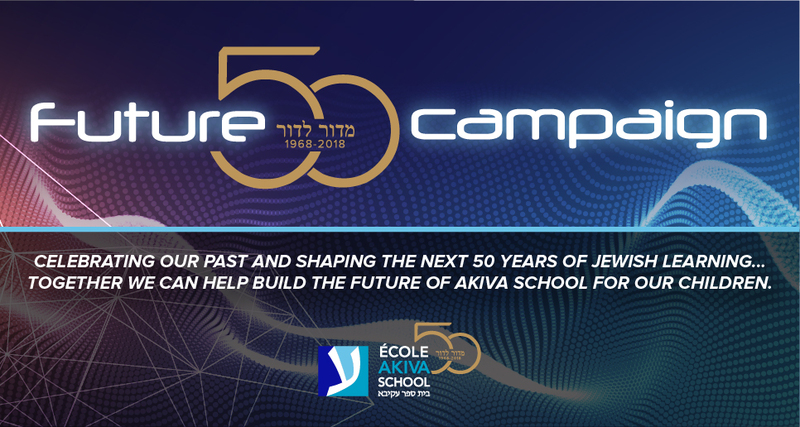 50 years of Akiva has not come without its fair share of sacrifice on the part of so many but we have kept the fire alive, it is strong and bright, we have continued to challenge ourselves to keep it steady and under control so that we can continue to ignite it at any moment’s notice. 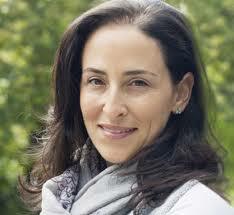 Akiva School is a co-ed English kindergarten and elementary school for students who have English language eligibility. Akiva School also has a French section where the language of instruction is French for kindergarten and elementary school.